Welcome to OMCZ 16 - this time there is no theme, just our choice of what is outside of our personal comfort zone. What I decided to wear was the dress that everyone has been talking about, the +Pink Clove UK tartan dress. Now this dress is out of my usual comfort zone as red check is something I have never thought would suit me and indeed when I saw the trends emerging for Autumn Winter, I swore I wouldn't buy any tartan at all. Yet here I am today, wearing a tartan skater dress and loving it. How times change. 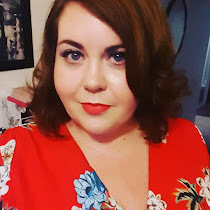 I wore this dress to the the +Marisota blogger event last week and it was comfortable to wear all evening and I didn't need to do any adjusting half way through the night which you can find with some dresses. The lighting isn't great in these pictures I am afraid, I was having a bit of an argument with the flash which seemed to insist on highlighting where I didn't want it to. With the dress I am wearing an Alice in Wonderland quote necklace which I got from Etsy and wedge ankle boots which are from +Simply Be and I am totally in love with them.